You serve the best steak dishes in town and you know it. 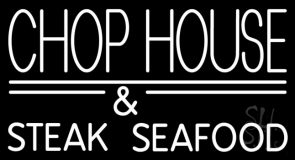 Advertise it by displaying a chophouse neon sign to your door. 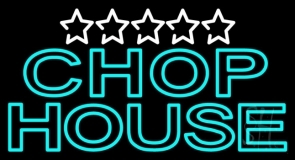 Advertise your varieties of mutton, pigeon, pie steaks and allure those steak addicts to pop into your chop house with a bright glowing chop house neon sign. Neon chophouse signs are highly practical in use as they are easy to install and requires no maintenance. 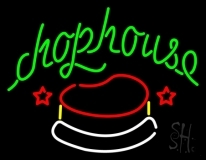 A neon chophouse sign added to glow up your chophouse or steak house entrance is highly durable and ensures longevity. 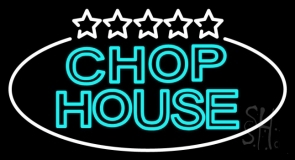 So light up your establishment all night and day for many long years with the radiance of chop house neon sign. We customize chophouse neon sign in numerous range of customizing options to choose from. 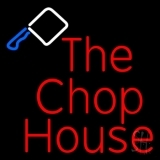 Get your neon chophouse sign customized by adding chopping knives, steaks and other designs to your sign. Submit your business logo and name and our designers will provide you with the best hand crafted chophouse neon sign. Give a touch of uniqueness to your custom chophouse neon sign with the addition of bright neon colors, stylish fonts, frames and more. Add animation effects to personalized chophouse neon sign adding more to the ambience of your chophouse. You can also opt for a chophouse neon sign from our large collection. 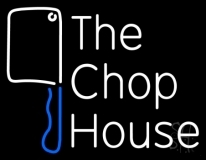 Add difference to the in house specialties with our chop house neon signs like 'The Chophouse with Knife Neon Sign', 'Chophouse Burgers Neon Signs', 'Vertical Chop House Neon Sign', etc. Get your chophouse neon sign design and custom made today!